Modern processors are evolving into hybrid, heterogeneous processors with both CPU and GPU cores used for general purpose computation. Several languages, such as BrookGPU, CUDA, and more recently OpenCL, have been developed to harness the potential of these processors. These languages typically involve control code running on a host CPU, while performance-critical, massively data-parallel kernel code runs on the GPUs. In this paper we present Kite, a rethinking of the GPGPU programming model for heterogeneous braided parallelism: a mix of task and data-parallelism that executes code from a single source efficiently on CPUs and/or GPUs. The Kite research programming language demonstrates that despite the limitations of today’s GPGPU architectures, it is still possible to move beyond the currently pervasive data-parallel models. We qualitatively demonstrate that opening the GPGPU programming model to braided-parallelism allows the expression of yetunported algorithms, while simultaneously improving programmer productivity by raising the level of abstraction. 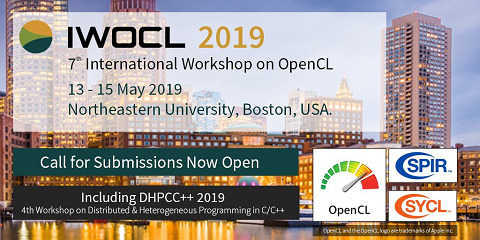 We further demonstrate Kite’s usefulness as a theoretical foundation for exploring alternative models for GPGPU by deriving task extensions for the C-based data-parallel programming language OpenCL.